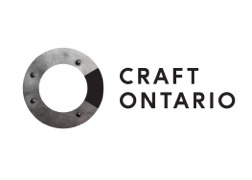 Craft Ontario invites craft artists, guilds, curators and collectives to attend and learn about the range of Ontario Arts Council (OAC) grant programs available to support craft business. Join OAC Associate Visual Arts and Craft Officer, Lisa Wohrle if you have questions about your eligibility, how to prepare effective grant applications and support material and how grant decisions are made. 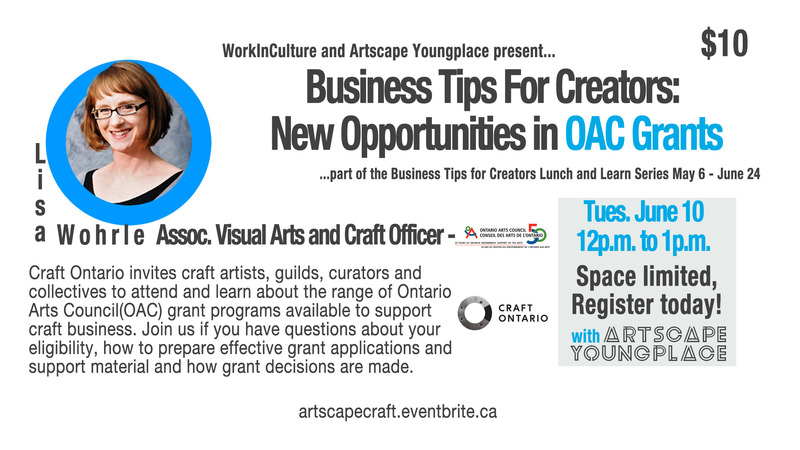 This workshop is being held in partnership with Artscape Launchpad, WorkInCulture, Craft Ontario and the Ontario Arts Council, with support from the Ontario Trillium Foundation. Artscape Launchpad will be a new creative and cultural sector entrepreneurship centre connecting the creative community with the tools, knowledge and space to establish and grow small businesses and commercial projects.